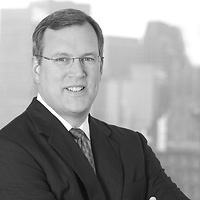 The Massachusetts Appeals Court has held a bank liable to a commercial borrower for refusing to renew a line of credit on the same terms after the line had expired where in prior years the bank had consistently allowed the line to expire before renewing it on the same terms and, in the year the bank actually terminated the line, the bank took various actions prior to the line’s expiration that the customer reasonably interpreted to mean that the bank would renew the line again on the same terms. In the August 26 decision, the court held that the borrower was entitled to receive double its lost profits and attorney’s fees and costs under Chapter 93A of the Massachusetts General Laws. The court indicated that the bank had extended a line of credit to the borrower in 1997 and, in each of the four years between 1998 and 2002, allowed the line to expire before renewing it on the same terms. In each of the four years prior to 2002, the bank honored draws on the line of credit under the terms of the agreement during the interval between the line’s expiration and its renewal. In 2002, in the few months before the line’s expiration, the bank determined that the line of credit had become an increased risk and resolved not to renew the line unless the borrower agreed to a 1% interest rate increase and an all-asset lien to secure the line. Nutter Notes: However, the bank’s account manager did not communicate the bank’s decision to the borrower until November 1, 2002, two days after the line of credit expired. In the months preceding the expiration of the line, the account manager and other bank officers had met with the customer but rather than express their actual intentions to the borrower they had signaled that the bank planned to renew the line on the same terms, the court said. The new terms were unacceptable to the borrower, and the bank refused to honor checks drawn on the expired line that had not yet cleared. The termination of the line of credit forced the borrower to scale back its holiday mail order catalogue distribution resulting in a substantial shortfall of revenues and profits from its holiday catalogue in comparison with previous years. The case presents a cautionary example of how a course of prior dealings between a borrower and a bank can alter the bank’s rights in relation to the customer even though the written agreement between the bank and the customer had expired in accordance with its terms. The court found that the bank’s prior conduct, particularly covering draws during the interval between the expiration of the line of credit and its subsequent renewal in the prior four years, led the borrower to reasonably believe that the line of credit would be renewed again on the same terms and that draws would continue to be honored after the line’s expiration. The Securities and Exchange Commission has published an interpretive release to provide guidance on the use of company web sites to disseminate information to investors under the securities laws including the antifraud provisions. 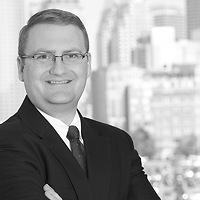 The August 1 interpretive release, effective August 7, provides guidance to issuers about when information posted on a company web site is “public” for purposes of evaluating the applicability of Regulation FD to subsequent private discussions or disclosure of the posted information and satisfaction of Regulation FD’s “public disclosure” requirement. The release also provides guidance on the circumstances in which an issuer may be liable for information on its web site (including previously posted information, hyperlinks to third-party information, summary information and the content of interactive web sites). Finally, the release includes recommendations relating to the types of disclosure controls and procedures an issuer should implement for information posted on its web site and the format of such information, with the focus on readability rather than ease of publication or printing. The SEC is soliciting comment on issues relating to the use of electronic media generally in providing information to investors. Comments are due by November 5. Nutter Notes: Under certain circumstances, the SEC allows issuers to satisfy disclosure requirements under the Securities Exchange Act of 1934 by making information available on the company’s web site rather than filing the disclosure on EDGAR. 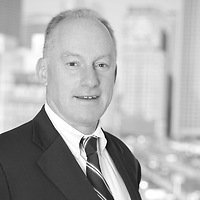 For example, a company may provide its audit, nominating or compensation committee charters on its web site as an alternative to publishing them with its proxy or information statement, or provide information regarding board member attendance at its annual shareholder meeting on its web site rather than in its proxy statement. A company may also disclose a material amendment to its code of ethics, or a material waiver of a provision of its code of ethics, by posting the information on its web site rather than filing a Form 8-K. The SEC is now expanding the use of company web sites to satisfy disclosure obligations under Regulation FD in certain circumstances. Regulation FD requires an issuer to file or furnish a Form 8-K once a selective disclosure has been made, or use an alternative method of disclosure that is reasonably designed to provide broad, non-exclusionary distribution of the information to the public. The SEC concludes in the interpretive release that posting information on a company web site may be a sufficient method of public disclosure to satisfy Regulation FD based on the consideration of factors outlined in the release. The OTS has issued guidance to savings associations on managing home equity line of credit programs as many institutions, following a continuing decline in home prices in many areas of the country, have curtailed, suspended, or terminated customers’ home equity lines of credit. The August 26 guidance emphasizes that institutions taking such actions must comply with federal laws and regulations designed to protect consumers, including regulations implementing the Truth in Lending Act, Equal Credit Opportunity Act, Fair Housing Act and the OTS nondiscrimination rule. With limited exceptions, Regulation Z prohibits a creditor from terminating a HELOC and accelerating repayment of the outstanding balance before the scheduled expiration of the plan. HELOC agreements must conform to these restrictions and may not contain provisions that authorize termination unless an exception applies. Exceptions include situations that involve fraud or material misrepresentation, failure to meet repayment terms for any outstanding balance, or actions adversely affecting the property pledged as security or the creditor’s security interest in the property. If an event permitting termination and acceleration occurs, the OTS encourages associations to work with borrowers to determine an appropriate strategy for mitigating risk. For example, an association could suspend or “freeze” further advances, reduce the credit limit, or change payment terms. Nutter Notes: With some exceptions, Regulation Z prohibits a creditor from changing any term of a HELOC account. However, a creditor may prohibit additional extensions of credit or reduce the credit limit during certain periods, as long as any reduction in a borrower’s credit limit below the outstanding balance does not require the borrower to make a higher payment. A creditor may freeze or reduce a HELOC account when the value of the collateral declines significantly below the appraised value, the creditor reasonably believes that the consumer will be unable to make payments as agreed because of a material change in the consumer’s financial circumstances, or the consumer is in default on a material obligation of the HELOC agreement. Credit privileges must be reinstated when those circumstances cease. An association should monitor an affected line of credit frequently enough to assure itself that the condition permitting the suspension or reduction continues to exist. Alternatively, an association may require borrowers to request reinstatement of credit privileges. The FDIC has issued guidance describing expectations for banks that have shifted from asset-based liquidity strategies (i.e., maintaining pools of highly liquid and marketable securities to meet unexpected funding needs) to liability-based or off-balance sheet strategies (i.e., funding partly through securitization, brokered/Internet deposits, or borrowings). In Financial Institution Letter 84-2008 issued on August 26, the FDIC said that increased use of liability-based and off-balance sheet strategies has elevated the liquidity risk profile of some banks and underscores the importance of a forward-looking approach to liquidity planning. For banks using liability-based or off-balance sheet liquidity strategies, traditional measures of liquidity, such as the ratio of loans to deposits or non-core funding dependency, may not provide an accurate view of the institution’s true liquidity position. These banks should supplement traditional liquidity risk measures with pro forma cash flow analysis, and should have realistic contingency funding plans that are responsive to changes in liquidity risk exposure. The FDIC expects banks to use liquidity measurement tools that match their funds management strategies and that provide a comprehensive view of their liquidity risk. Risk limits should be approved by an institution’s Board of Directors and should be consistent with the measurement tools used. Nutter Notes: Recent disruptions in the credit and capital markets have exposed weaknesses in liquidity risk measurement and management systems, the guidance said. Contingency funding plans should incorporate events that could rapidly affect an institution’s liquidity. The FDIC limits the use of brokered deposits by insured institutions that are less than well capitalized, and also limits the effective yield that may be offered. These limits should be incorporated in contingency funding plans, which should outline practical and realistic funding alternatives that can be implemented as access to funding is reduced, including diversification of funding and capital raising initiatives. Banks that use volatile, credit sensitive, or concentrated funding sources are generally expected to hold capital above regulatory minimum levels to compensate for the elevated levels of liquidity risk present in their operations. Pro forma cash flow analysis should show a bank’s projected sources and uses of funds under various liquidity scenarios, identifying potential funding shortfalls or gaps. Assumptions used in pro forma cash flow projections should consider a wide range of potential outcomes with regard to the stability of both retail and larger deposits, brokered deposits, public funds, borrowings, Internet deposits, and the retention rate of funds obtained through deposit specials. The Federal Reserve Board has published its annual adjustment of the dollar amount of fees that triggers additional disclosure requirements under the Truth in Lending Act for home mortgage loans that bear rates or fees above a certain amount. The dollar amount of the fee-based trigger has been adjusted to $583 for 2009 based on the annual percentage change reflected in the Consumer Price Index that was in effect on June 1, 2008. Nutter Notes: The adjustment is effective January 1, 2009 and does not affect the new rules adopted by the Federal Reserve in July 2008 for “higher-priced mortgage loans.” Coverage of mortgage loans under the July 2008 rules is determined using a different rate-based trigger. The Truth in Lending Act restricts credit terms and requires additional disclosures when total points and fees payable by the consumer exceed the fee-based trigger (initially set at $400 and adjusted annually) or 8 percent of the total loan amount, whichever is larger. The OCC has released Interpretive Letter #1100 which concludes that an operating subsidiary of a national bank may originate loans and charge and export interest rates and fees under the applicable law of the home state of the parent bank in a manner consistent with 12 U.S.C. § 85. The operating subsidiary can export interest rates and fees permitted by the home state of the parent bank without regard to the usury laws of the state of residence of the borrowers under the same terms and conditions applicable to the parent bank. Nutter Notes: The letter indicated that the operating subsidiary conducted its operations through offices located in multiple states, but none located in the home state of the parent bank. An operating subsidiary conducts activities under the same general authority, terms and conditions that apply to the conduct of the activities by its parent national bank. The OCC treats national banks and their operating subsidiaries as a “single economic enterprise” and oversees both entities by reference to “business line,” applying the same controls whether banking activities are conducted directly or through an operating subsidiary.